In Roman religion, Terminus was an agrarian god who protected boundary markers. Stones were often used to provide an effective means for marking these boundaries, although a stump or a tree sometimes served to demarcate adjacent properties. The need to demarcate boundaries and define ends continues to shape our way of thinking at the most fundamental level. The articles in this book investigate among other things developments in literature, film, historiography and new digital entertainment to see how they reflect cultural anxieties about ‘the end’ and/or how they are determined by the need to mark boundaries. The contributions in the present volume are organised so that they reflect thematic, national and chronological perspectives. But they also show that it is possible to identify several threads of continuity in the way that ‘the end’ has been conceptualised. A collection of essays on terminus is to make a beginning. By examining ideas of culmination, conclusion, closure, finale and termination from the perspective of a number of various genres, cultural formations and historical contexts, the purpose is to discuss how endings are carriers of meaning in social and cultural contexts. This is volume one of a two-volume collection. 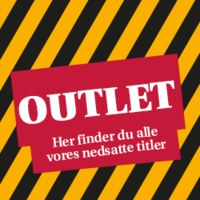 Volume two contains articles in Danish.